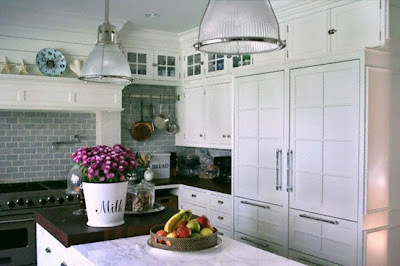 I've got five beautiful white kitchens to show you today. 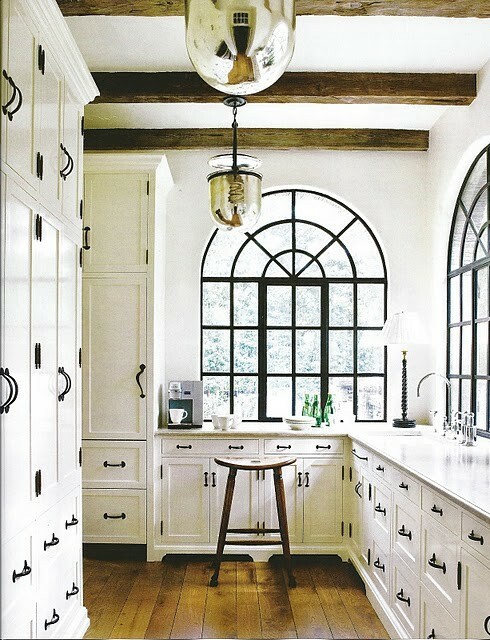 Starting with this first kitchen designed by Interior Designer Molly Frey. 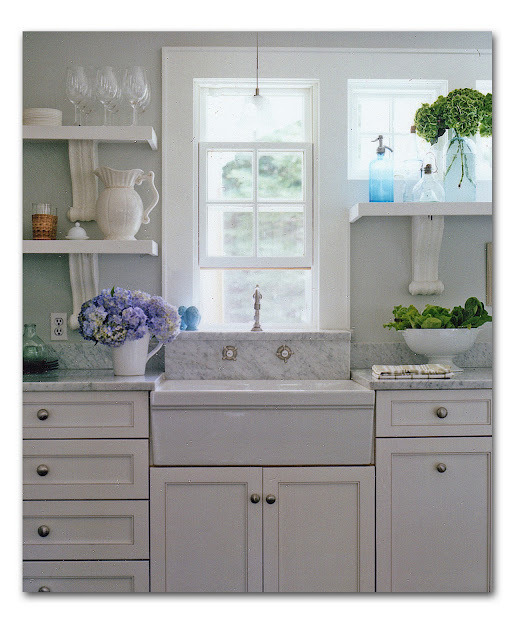 Notice the windowsill and how the faucet is mounted on it. This is such a great design detail because it give the homeowner a little bit of extra surface area while adding to the aesthetic of the kitchen. 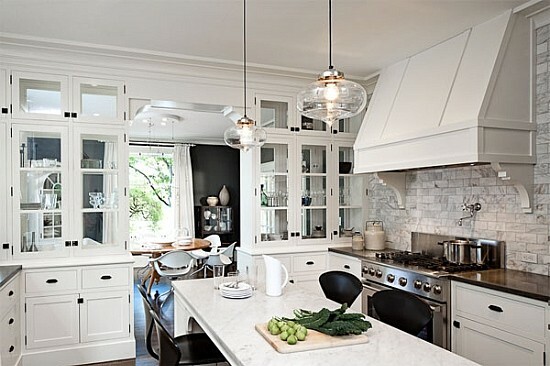 I love it....especially with the open shelving. Which kitchen is your favorite today?